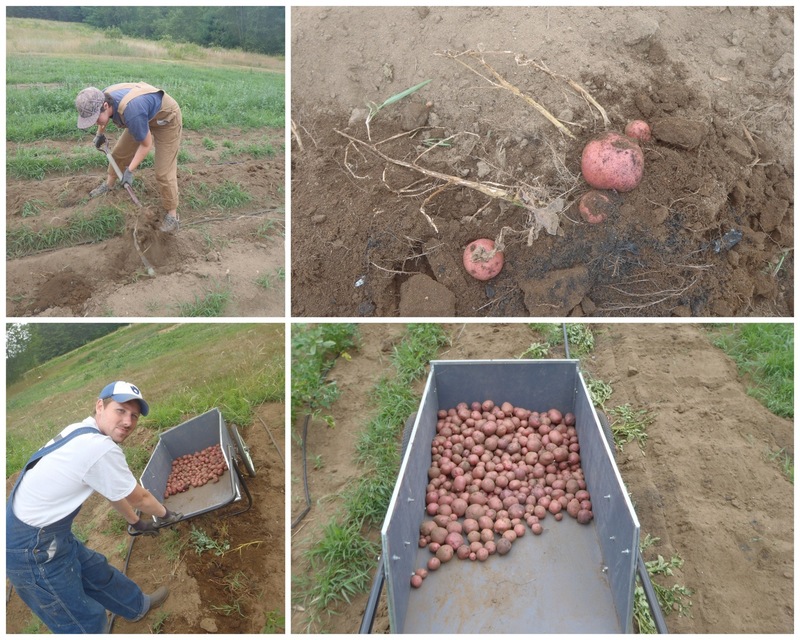 Pat and I spent yesterday morning diggin' up spuds. It is one of my favorite tasks, and now one of Pat's... it's really a farming treasure hunt! Drain potatoes in a strainer and place pot back on stove over medium heat and add butter. When just melted, after about a minute, add potatoes and, if desired, herbs and black pepper.